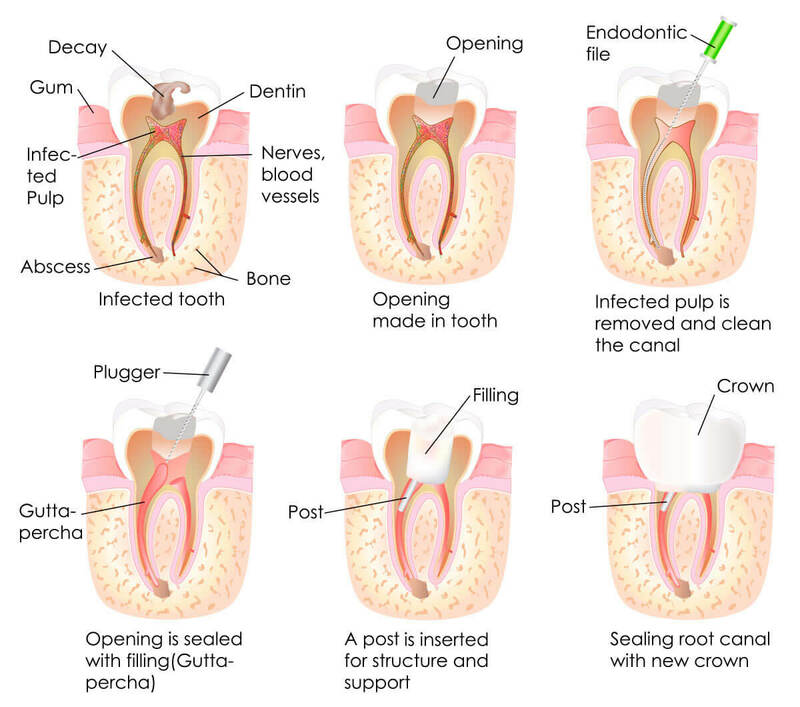 A root canal is used to identify the natural cavity inside the tooth where you can find the sensitive area called the pulp or pulp chamber. You can also find the nerves of the tooth whose function is sensory inside the root canal. If the pulp gets injured (rehashed dental strategies, fillings, cracked or broken tooth) or infected (due to enamel decay), the pulp tissues and nerves die which could lead to severe infection when bacteria start to multiply. If gone untreated the encompassing tissues may likewise get infected. It will result in the following: tooth abscess, bone loss around the tip of the root, swelling may spread to the face, neck, or head, and occurrence of a hole in the side of the teeth, which may bring about the drainage issue into the gums, cheek, or skin. 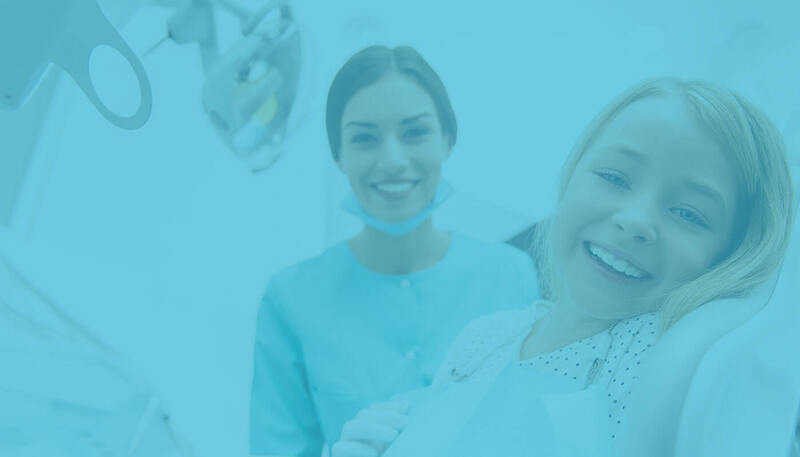 However, unlike in the old days when you must remove a tooth when it became infected, there is a particular procedure nowadays called root canal or endodontic treatment where we can save your tooth from extraction. Root canal therapy involves repairing and saving the severely infected tooth by removing the pulp and nerves and then protecting it by cleaning and sealing the inside of the tooth. A crown is then placed over the treated tooth to make it stronger. Saving a natural tooth includes numerous advantages, for example, not having to wear artificial tooth/teeth, efficient chewing, prevents jaw issues, and shields other teeth from an excessive amount of wear and strain. – Acute, sharp, and spontaneous pain that is difficult to find, and might be because of the infected pulp or the formation of an abscess at the tip of the root. – The pain reaches out to the ear, temples or jaw areas. – Prolonged pain and sensitivity to hot or cool beverages and nourishments. – Recurring or a persistent pimple on the gums that may discharge pus bringing about terrible smell or taste. – Serious toothache pain when biting, chewing, or touching the tooth because of the disease or inflammation of the basis tip and the use of pressure on its socket irritates the root area. – Swelling and tenderness of the gums close to the contaminated tooth. However, there are occasions where a tooth pulp can become damaged or infected with none of the above side effects displayed. When this happens, the dental issue is regularly identified by X-rays or special dental tests amid checkups or other dental medications. – Abscess where a pus pocket form around the end of the root when the pulp of the tooth dies and which can spread to the encompassing tissues and bones. – Bruxism or teeth grinding. – Deep tooth decay underneath a tooth filling that gets untreated. – Repeated dental methodology that can bring about a considerable measure of strain on the tooth such as drilling, filling, and crowns. – Traumatic damage to the tooth, for example, a chip, crack, or even root fracture where the nerve was severed toward the end of the root causing it to die; this can happen instantly or years after the injury. There are several steps we will take to determine if you need root canal treatment, and these will include: looking for any symptoms that you might have to need the treatment, check the tooth and the gum’s condition and for any dental procedure done on it before. 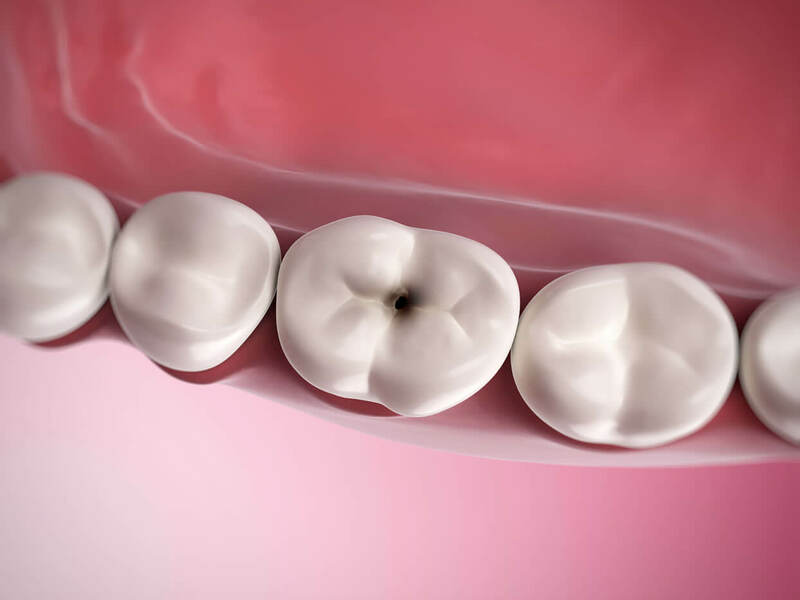 We also examine the nerves and tissues of the tooth and the surrounding area by applying hot and cold substances on it, tap on the tooth tenderly or have you bite on something to determine if the tooth is sensitive to touch or pressure. We then take X-rays of the tooth and the bone around the tooth to show how the treatment will go and use an electronic pulp tester that sends a little measure of electric current through the tooth to determine if the pulp is still alive. The first step in treating the root canal is taking X-rays of the infected tooth to determine the state of the root canals and to see if there are any indications of disease and then numbing the infected tooth and the encompassing tissues by making use of anesthesia. Next, the dentist will use a dental gum (a thin sheet of rubber or vinyl) to detach the contaminated tooth from the rest of the mouth and also to keep the tooth dry. A small hole is then penetrated into the infected tooth to gain access to the pulp chamber and root canals that will be treated. Using unique instruments like root canal files, the dead pulp, nerves, and tissues along with bacteria and other debris, evacuated by flushing with water or with sodium hydrochloride. After the root canals are cleaned and disinfected with sterile solutions and antiseptic, followed by shaping of the canals for the root canal fillings, the root canals will be washed and cleaned once more before sealing them. At the next appointment for treatment, a rubber-like material known as gutta-percha collectively with an adhesive referred to as sealer is used to fill the root canals and seal them. The last technique may incorporate restoration of the tooth to its full function with a crown to help prevent it from further breaking or damage. We will tell you if you need any additional dental procedure. After the treatment, an antibiotic will be prescribed for you to take to prevent infection.